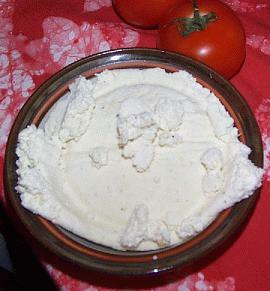 Paneer is a soft cheese made from milk. It doesn't have much taste of its own, but it is used in many great dishes like palak paneer (spinach with paneer, also called saagh paneer in the north of India) and mattar paneer (peas with paneer). It can be cooked, fried or deep-fried. It is very popular in India. Heat the milk until it boils. 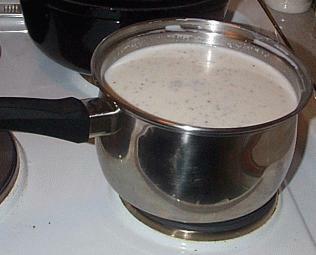 The adventurous can add a little crushed pepper or finely chopped fresh coriander to the milk when it starts to boil. 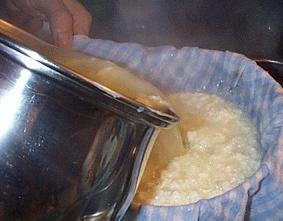 Add lime juice as soon as the milk starts to boil (turn off the heat and keep on stirring!). Add enough so that the milk curdles. 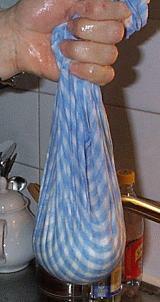 Pour everything through a muslin cloth (or use a tea-towel as I always do), rinse it with some cold water, and hang it to dry for a while (30 minutes or so). 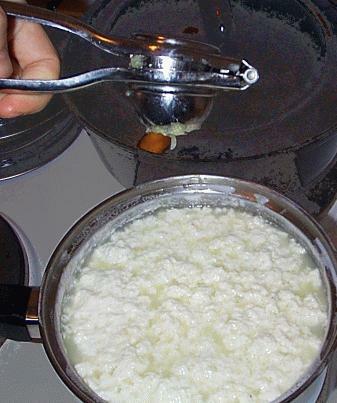 Press the remaining paneer under a heavy pan for a while to get rid of the remaining liquid. You should have a reasonably solid cheese left after about an hour, looking like this. 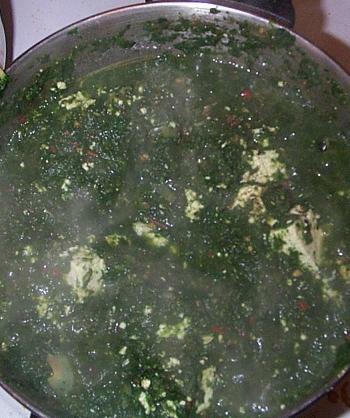 Cut into blocks and make palak paneer (photo).